For any nation, children are their biggest assets since they build the nation in future. If children are inspired by the idea of peace and tranquility, then it is a bonus for the nation and world at large. 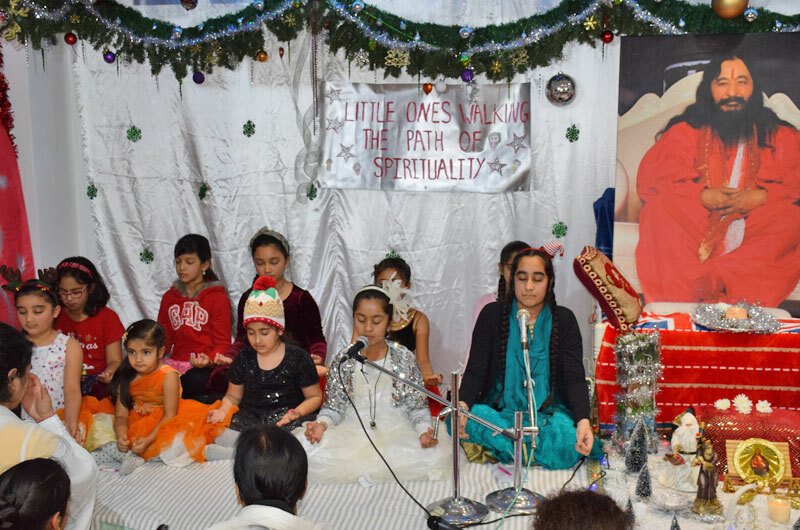 DJJS, UK organized one such workshop on Dec. 27 named “Adhyatm ki Aur Badhti Nanhi Kaliyan” which literally means ‘Little ones walking the path of Spirituality’. 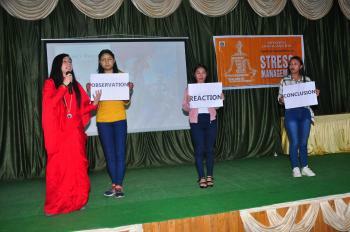 The venue of the event was Divya Bhawan, Hayes, London, UK and highlight of the event was active participation of the children in form of poems, songs and motivational speeches. Miss Enya Jha and Mr Robert Graham from U.K. Children Association along with DJJS Preachers and Volunteers were part of the event. Sadhvi Bhaktipriya Bharti Ji and Brother Kabir Ji, disciple of Shri Ashutosh Maharaj Ji (Founder and Convenor of DJJS) were DJJS preachers. 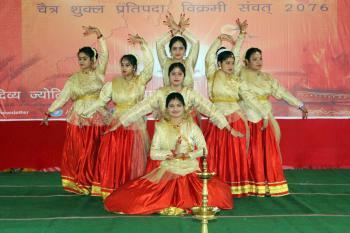 The event was mainly directed at children of up to 14 years of age. The event commenced with DJJS preachers explaining the significance behind the birth of Lord Jesus in the most extreme circumstances and his message of hope and love for humanity. 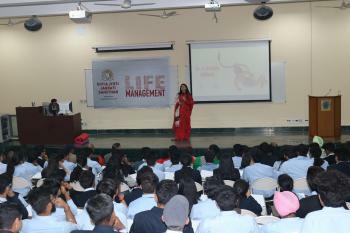 In the second phase of the event, the participating children (known as the little angels) took charge of the event and executed it by hosting, presenting, singing, poem recitation and motivational speeches to the audience. The children, with their prior knowledge from the DJJS spiritual discourses, presented an enriching and smooth session which was laudable and received great appreciation from the audience. Their precise knowledge and skills amazed many that kept the audience wondering about the plethora of their spiritual knowledge vis-à-vis their age. In the final phase of the event, the little angels of divinity took part in a ‘Peace’ march to promote and nurture values of peace and universal unity in the masses. It was truly an event par excellence and footprints of new era were clearly visible in the form of little angels walking towards their destination.